Editeur : Cinéart / Cinélibre. 2008. Editeur : France Télévisions. 2008. 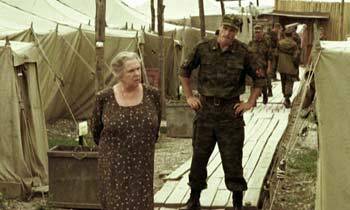 The elderly woman Alexandra arrives at a military base to visit her grandson, an Russian Army officer serving in Chechnya. The events of these two days ñ a long night of conversations with the grandson ñ form an uneasy path of the two becoming closer to each other. The casual meeting with an unknown local woman, returning lost hope and a walk around the ìinjuredî city deeply touch her soul. The film tells about the complex fabric of human relations. Somehow ìAlexandraî echoes the previous ìelegiesî of the master (ìFather and Sonî, ìMother and Sonî), but this story is based on an old plan by the director to make a film with the participation of the great opera diva Galina Vishnevskaya. In 2006, Sokurov portrayed the opera diva Galina Vishnevskaya with her husband, the late cellist and conductor Mstislav Rostropovich, in his documentary Elegy of Life: Rostropovich Vishnevskaya. Now she is playing the stunning leading role in his latest feature. 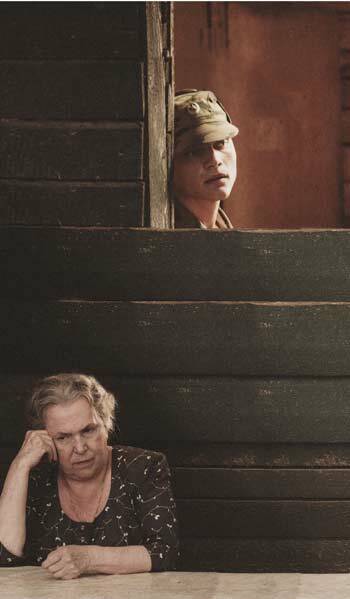 The aged Alexandra travels to Chechnya to visit her grandson Denis, who is stationed in the heart of an apparently insoluble hotbed of war. 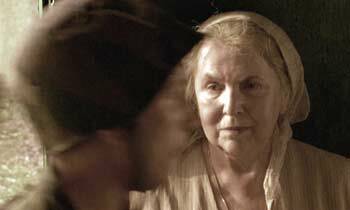 Sokurov has them meet each other in a ruined Grozny, where the grandmother apparently had less trouble making contact with the local population - even though they mistrust her at first - than with her own flesh and blood. Grandmother and grandson have not seen each other for seven years and the aggressive, martial world in which he has been stuck has severely diminished his social skills. Without showing a single drop of blood spilt, Sokurov sketches the pale and traumatised universe that is responsible for this. While Alexandra is unmistakably political - in a direct way that is unusual for Sokurov - the film transcends the local conflict. Alexandra is not only Mother Russia and Denis is not just the dulled Russian soldier. It looks as if the director wants to build in a last humanitarian break, an alarming last moment of choice in an uncontrollable conflict that does not differ very much from so many other wars. So fictional, yet so real.